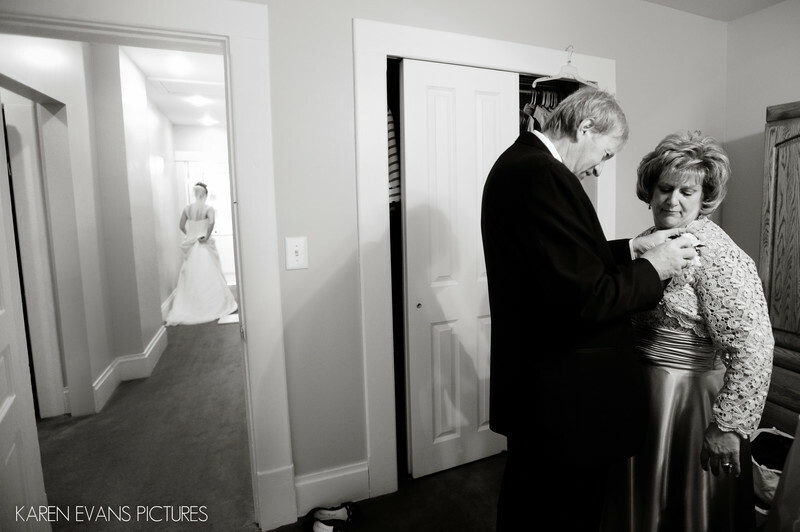 I love this picture of Melissa's dad pinning a corsage on her mom as Melissa makes her way down the hall in her wedding dress. I also love it when the bridal prep is done at home; there's just something special about capturing the memories of this important time in a place where you spend a lot of time. When you look back on these pictures later, you'll have fond memories not only of the prep for your wedding, but of the place where you lived at the time.Keywords: at home (75).